Detail of the sequence Celi cives in colono, f114 of the Burns Franciscan antiphoner, MS.1996.097, John J. Burns Library, Boston College. 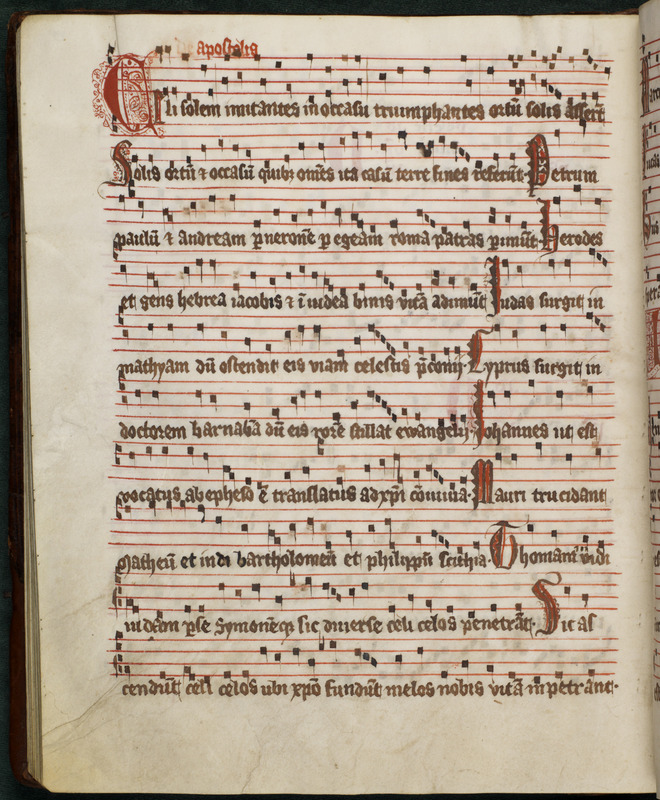 In my previous post I gave an overview of medieval liturgical and musical books. One of these is the antiphonale or antiphoner, which contains the proper antiphons for the Divine Office. The Burns Library owns a beautiful (and now digitized) 14th century Franciscan antiphoner from southern Germany. 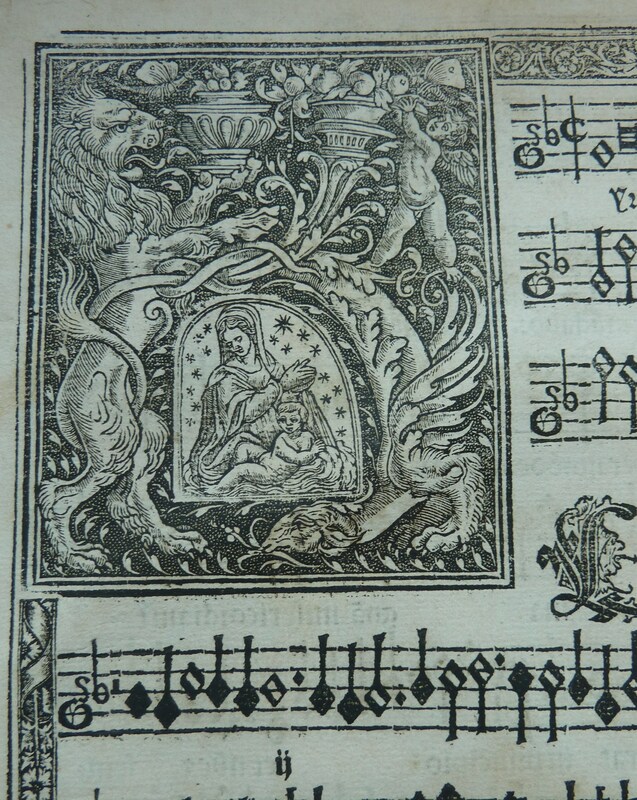 Like the Augustinian Gradual, this Antiphoner was made large enough to be used by more than one person at once. It was, in other words, a choir book. Celi solem imitantes. Sequence for the Apostles, Franciscan Antiphoner. The text in question is a sequence, a metrical Latin poem intended to be sung in Mass between the gradual and the gospel. Few of these survived the massive liturgical reforms of the past five centuries, but at least a handful of well-known sequences remain: the Lauda Sion sequence for Corpus Christi, the Veni Sancte Spiritus for Pentecost, the Victimae Paschali for Easter, and the Stabat Mater for Our Lady of Sorrows (used more often now at Stations of the Cross). As I mentioned in the previous post, the late medieval liturgy was already relatively standardized before the Tridentine reforms. The sequences, however, give an especially telling window into local variation. 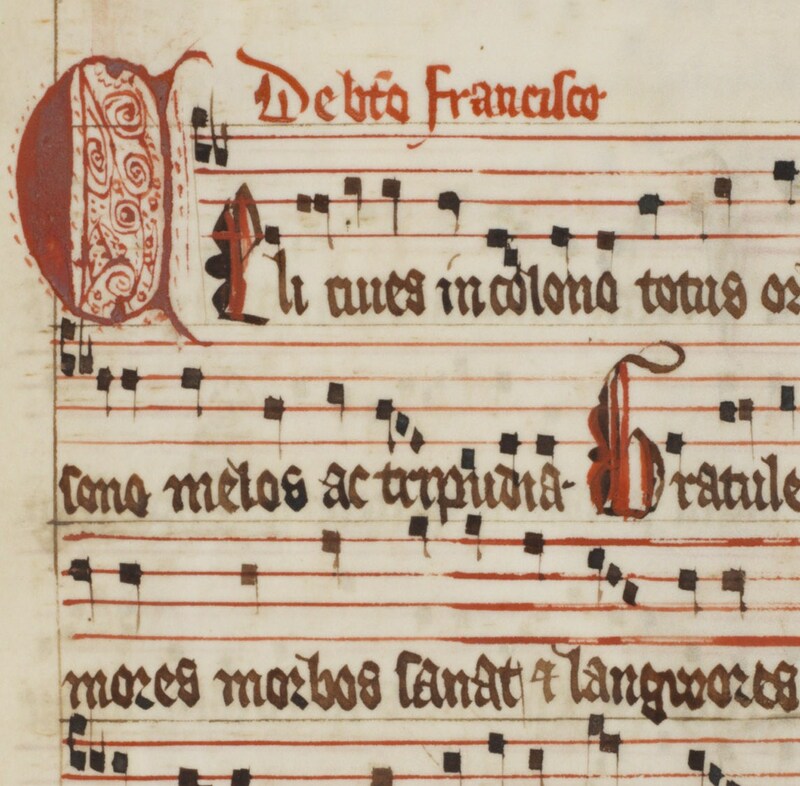 The Burns Antiphoner contains a very rare sequence for St. Francis, Celi cives in colono. Tell thus all the ends of earth. Homophonic detail from the sequence Celi solem imitantes in the Franciscan Antiphoner. Selection of the Kyrie from the four part Missa de Beata Virgine in the first book of Cristobal de Morales Masses, M1490 .M67 1546 Oversize. The Burns Library has quite a few musical scores that feature polyphony, not least from the years leading up to the Second Vatican Council, featured in the Liturgy and Life Collection. Closer to the medieval period, however, is the work of 16th century Spanish composer Cristóbal de Morales. 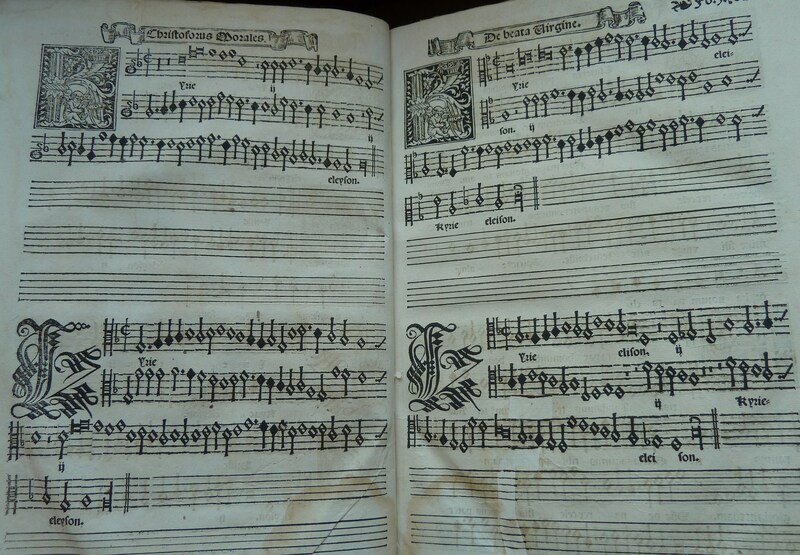 Burns has a 1546 edition of his polyphonic mass settings. This book, with the compositions it contains, represents the golden age of Renaissance polyphony. Note, in the Kyrie from Missa de Beata Virgine, the four parts are written separately, but sung together. A more recent edited version of this same mass is available online through the Choral Public Domain Library. Detailed capital illustration for a Kyrie in the 1546 edition of masses by Cristobal de Morales, M1490 .M67 1546 Oversize. From monophony to polyphony, from ordinary to proper, music has much to tell us about the liturgy and culture of the late medieval and early modern era. Samuel Keyes, Burns Library Reading Room Student Assistant & Doctoral Student in the Department of Theology. This entry was posted in Archives & Manuscripts, Digital Projects, Student Posts and tagged gregorian chant, liturgical books, Liturgy and Life, medieval, music. Bookmark the permalink.